Order springtime spirit gear from Spirit & Pride and support TES Student Council! Check your Friday Folder for an order packet or order online at https://www.spiritandpride.com/ using our school code #122688. Order deadline is Friday, January 18th.  Check payments should be made out to Sprit and Pride and not Trinity. RE-ENROLLMENT SEASON IS ALMOST HERE! Re-enrollment for 2019-2020 kicks off on February 1st and ends on February 22nd. Because it is critical for us to determine the openings available for siblings and new families, placement for returning students whose contracts are submitted after February 22nd is not guaranteed, and late submissions will incur the $75.00 new student fee. Please note that Priority Enrollment for siblings of current students opens on February 19th. For the safety and consideration of all involved in carpool, when dropping your children off, you must enter the carpool line from 22nd St. from the North, and NOT from the direction of Broadway. DO NOT cut in line. As we sail into Spring, please take a moment to review the uniform policy for K-5th and 6th-8th students. We need your help! Our photographers are “out and about” at most of the school-wide events but we know that so much happens inside of your classrooms and on your individual class excursions. 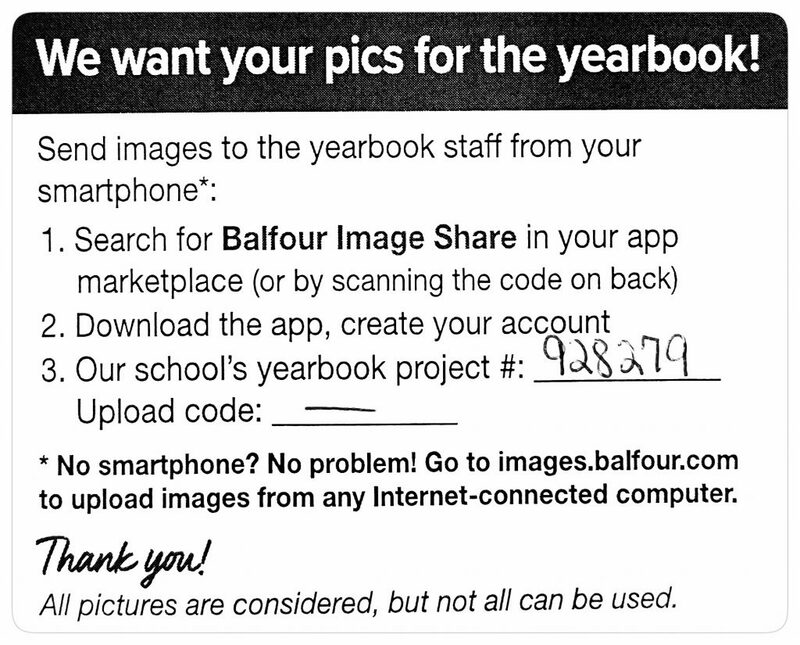 Please help us by taking those photos you have accumulated on your phone and uploading them to the Trinity Yearbook Balfour Site. Help us reach our goal of 100% parent participation! Click HERE to donate to the Annual Fund through Paypal. A Day in K! PK4 students will be visiting the Kindergarten classes between Monday thru Wednesday. 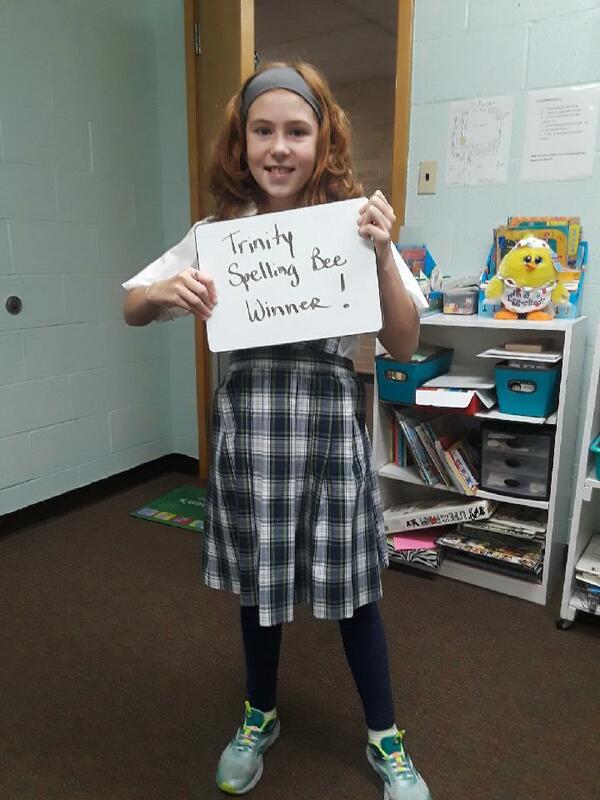 Kindergarten Round-Up January 15th 5:30-6:30 p.m. at Moody Hall, enter at port-cochere on Tremont St.
TES Spelling Bee winner Anneli Kucera (5th Grader in Mrs. Brown’s class) will go on to compete in the Galveston Spelling Bee in February. Way to go, Anneli! 6th Grade: Highest Honors: Camille Earl, Jacob Hart, Lawson Rees. Honors: Camryn Acosta, Annie Boeh, Clara Christy-Baxter, Sophia DeOre, Sawyer Farroni, Kylan Galloway, Lacey Higgins, Moya Hudson, Parker Koza, Luke Leimer, Sophia Musemeche, Issy Wisner, Zeke Zein-Eldin. 7th Grade: Highest Honors: Evelyn Gault, Molly Lyons, Zoe McClure. Honors: Mada Berry, Wyatt Culling, Charli Dean, Chloe Jolin, Vann Lathem, Connor O’Donohoe, Carlie Rekoff, Chloe Stein, Ella Sullivan. 8th Grade: Highest Honors: Austin Gabriel, Nicolo Garofalo, Anna Lyons, Alen Skormin. Honors: Bella Alvarado, Ethan Caesar, Katie Collins, Emily Cook, Shaifer Goalen, Sasha Jaworski, Jacob LaForte, Kari Nance, Asia Suayan, Colin Thomas, Hideaki Yamamoto. Come cheer on the chargers for our last home Basketball game of the season! The Trinity Chargers will take on the Arcadia Lions on Thursday, January 17th in the MAC. Girls play at 4 p.m. and Boys A team plays at 5 p.m. Go Chargers! Coach Johnson is hosting a SPARQ Camp for students interested in working with Speed, Power, Agility, Reaction, and Quickness. Grades K-8 are welcome. COST: $10 per session. Please make payment to TES and reference SPARQ Training. Who opened the first bakery in Texas? LAST WEEK: The first international beauty contest was held in Galveston and was called the PAGEANT OF PULCHRITUDE! (grab your dictionary) This event attracted participants from England, Russia, Turkey, Brazil, and many other nations until its demise in 1932.